NEW! Learn words with Lingvo cards! 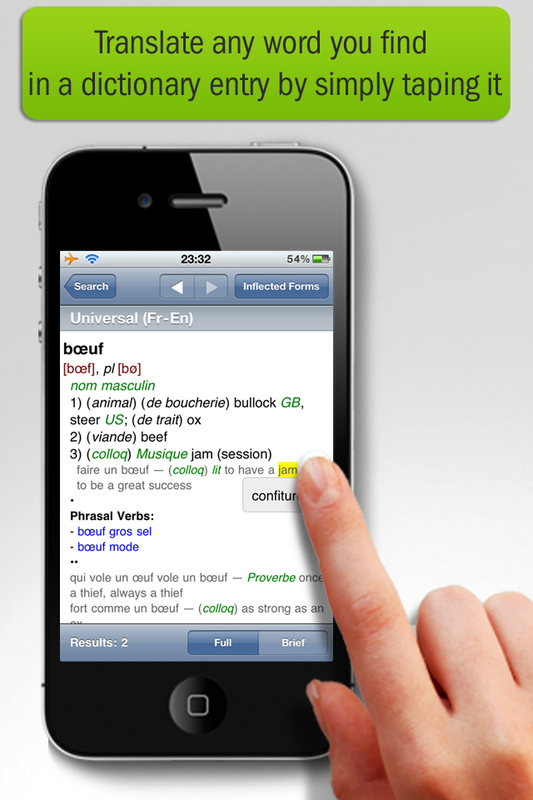 Download 56 basic dictionaries for 27 languages, included in the app price, right from within the app! 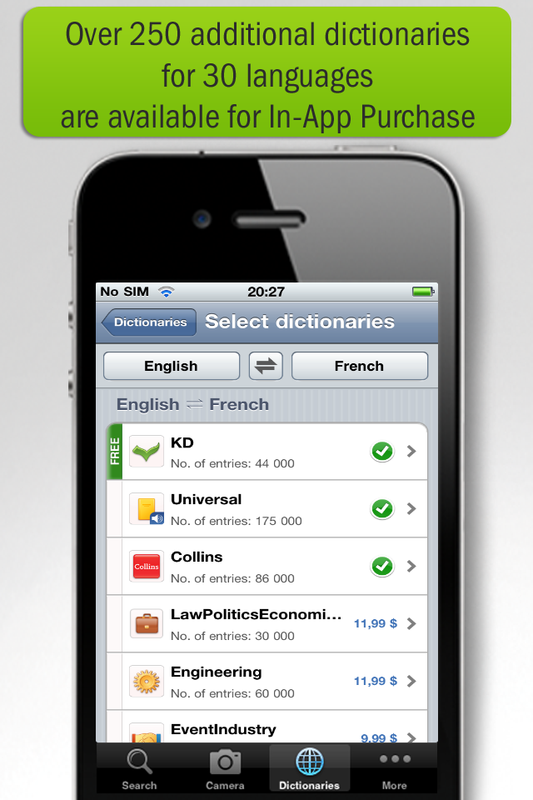 Over 200 additional premium dictionaries for 20 languages are available for In App Purchase. Electronic versions of dictionaries from the world’s leading publishers, including HarperCollins, Compact Verlag, K Dictionaries and dictionaries compiled by ABBYY lexicographers. 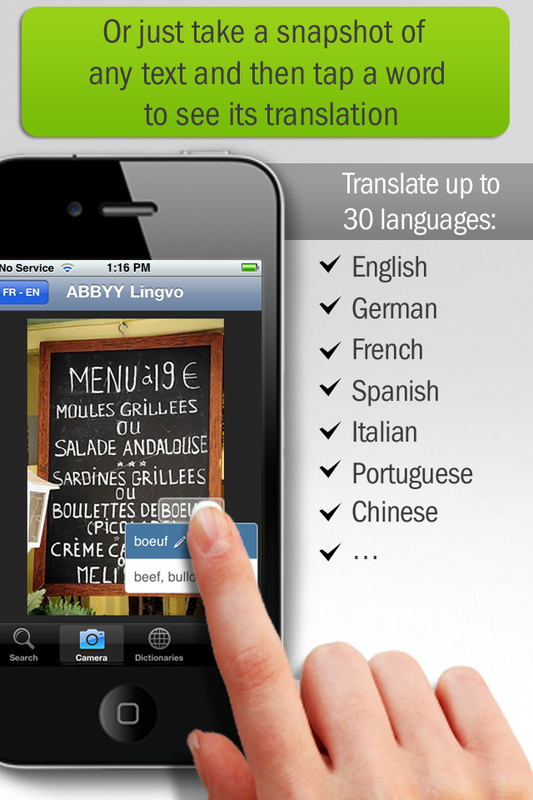 You can be confident in your translations. 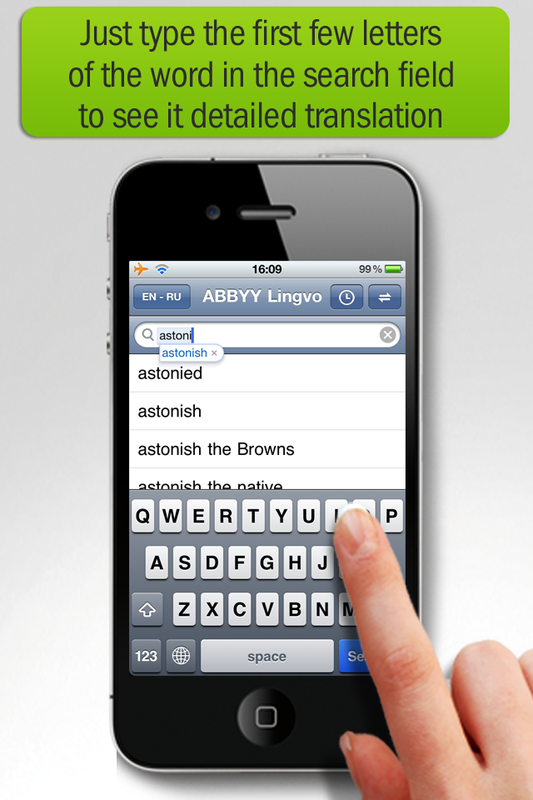 -Monolingual English, German, Russian, Spanish and Ukrainian dictionaries. You do not need an active Internet connection to use the dictionaries that have been downloaded on your device.